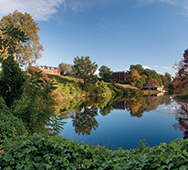 Dedicated to bringing the best of Smith College to your hometown, the Office of Alumnae Relations (OAR) Faculty Speakers Program is one of our most popular outreach programs. It has enabled Smith clubs and groups all the world to engage with outstanding faculty, administrators, alumnae and students on a broad range of topics in a wide selection of disciplines. Questions, ideas or comments about the Faculty Speaker Program? Please contact alumclub@smith.edu. The OAR can only cover the expenses of faculty on the program list that you arrange through our office. Invitations made independently or outside of this list will not be reimbursed. Clubs may request one speaker per academic year. The minimum attendance required to host a faculty speaker is 50 alumnae and guests. The OAR will assist clubs with finding and confirming faculty speakers. Please contact the OAR—not the speaker—so arrangements and expenses are accounted for. The OAR will contact the faculty member with the initial invitation and potential dates. If the faculty member agrees, we will put the club event coordinator directly in touch with him or her to make final plans. All arrangements after initial contact are to be made between the speaker and the club/group. It is the responsibility of the club to keep the speaker and the OAR informed about program plans. The OAR covers round-trip air travel, ground transportation and overnight accommodations for speakers, provided that you have made arrangements through the OAR. The club is responsible for making arrangements and for covering costs associated with the event, such as food and beverages, venue rental, audio-visual and invitations. The local club will promote the event, send out invitations (printed and/or electronic) and take RSVPs. We encourage clubs to contact other area clubs and affinity groups. Please send a copy of the invitation to the OAR and we can help send it out via broadcast email. We can provide a list of alumnae and mailing addresses for printed invites. The OAR would like to receive feedback on your program. Please fill out the post-event evaluation form after the event and include a list of attendees.